No matter, if you are fighting for The Interstellar Manufacturing Corporation (IMC for short) or resisting the Militia, Pilots are the top hunters of the Frontier in Titanfall 2. Every soldier wants to be like them – very skilled, dynamic and exceptionally deadly at any matter. Pilots also have Titans fighting by their side. Titans are demolishing everything that appears in their way. They are like deadly guns, covered in protective shield with a purpose to take a hit, a saber or a missile. Pilots and Titans are already dangerous when they fight separately in Titanfall 2. But when Pilots and Titans join their forces and work like a team – nobody can stop them. Titanfall 2 has a single player campaign, filled with loads of action and original twists. While playing Titanfall 2 as a single player, you will enter The Frontier as a Militia gunman, who is dreaming of becoming a Pilot. When you enter IMC enemy lines, you will feel a need to ally with a veteran Vanguard-class Titan and together you will fight against devastating odds in Titanfall 2. All is done to maintain a mission that you have probably never intended to accomplish. Multiplayer campaign of the game is filled with amazing treats to Titanfall fans. They will get six new Titans, new Pilot abilities, widened customization system, freshly added maps and many more. 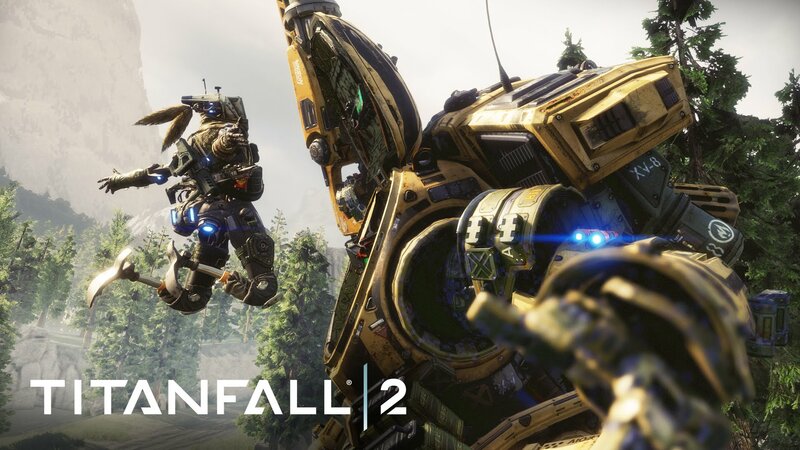 Titanfall 2 gives its players a completely different multiplayer gaming level.